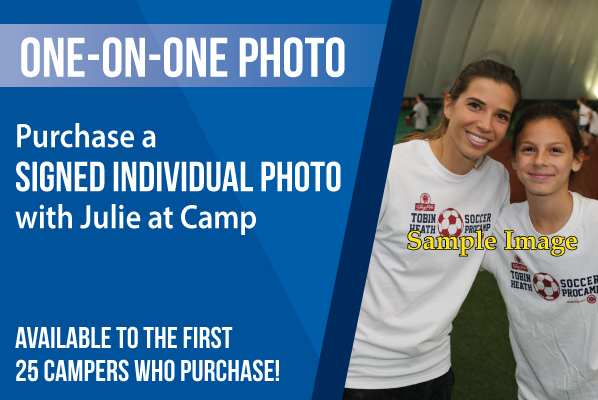 You have the opportunity to order a signed individual photo of your camper with Julie Ertz, signed by Julie at camp! Don't miss out on this very special opportunity to purchase this memorable keepsake. Proceeds benefit Kids2Camp, which was established to provide scholarships to disadvantaged or disabled youth for the opportunity to attend camps. Call Kyle at (513) 745-5851 to upgrade your registration. Office hours are 9:00 AM - 5:00 PM ET.